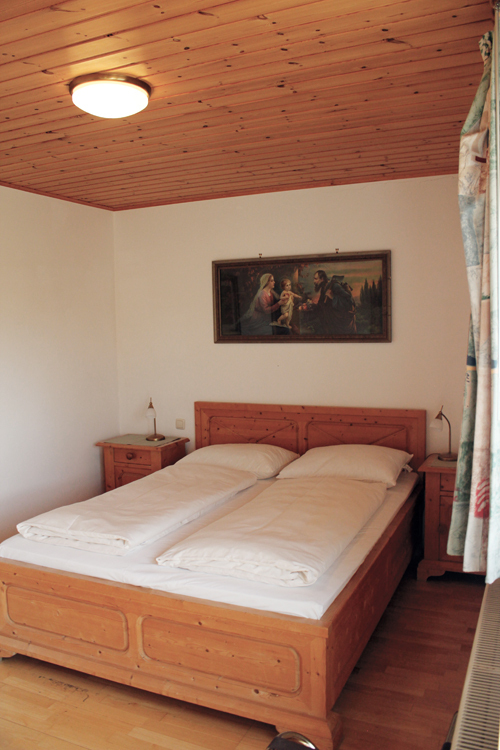 If you are planning a longer stay in Volkach, you can spend your time in a holiday flat in our guest house. 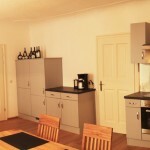 Volkach and its shopping possibilities and restaurants can be reached on foot in 10-15 minutes. 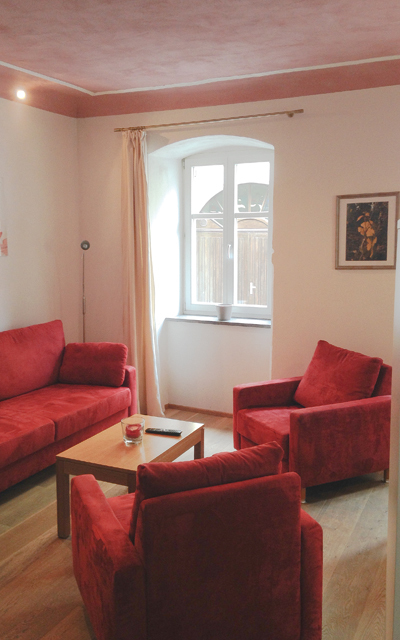 On 45 m² this flat offers you a bedroom with a double bed, showe/toilet and a living room with dining area, kitchenette and a comfortable bed couch. 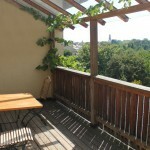 A spacious balcony on the northern side with a wonderful view on the vineyards and a balcony on the southern side invite you to enjoy the sun any time during the day. 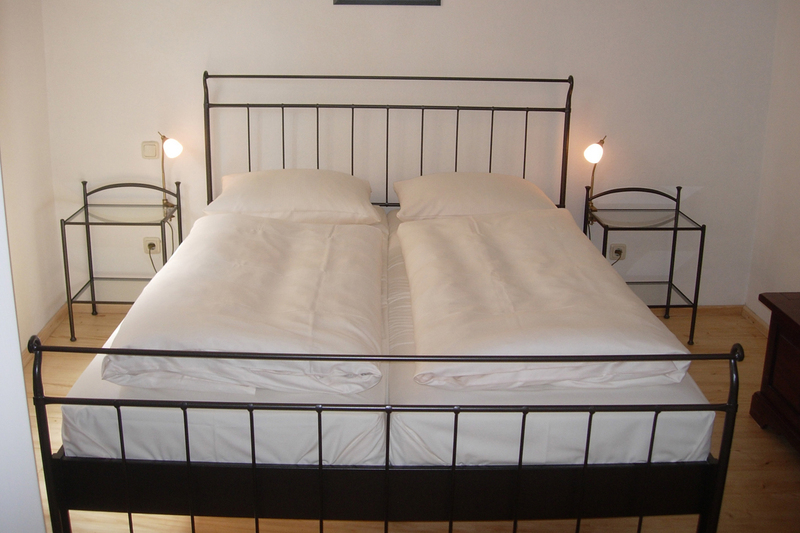 This apartment provides room for 2-4 persons and is available from 7 overnight stays. 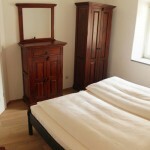 This flat is located in the attic and offers a bed room (18 m²) with double bed and bed couch and a living room with kitchenette, dining area and foldaway bed. 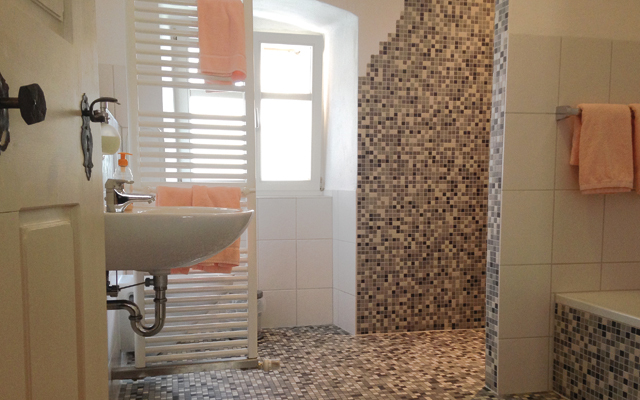 A bathroom with shower is accessible from each room. 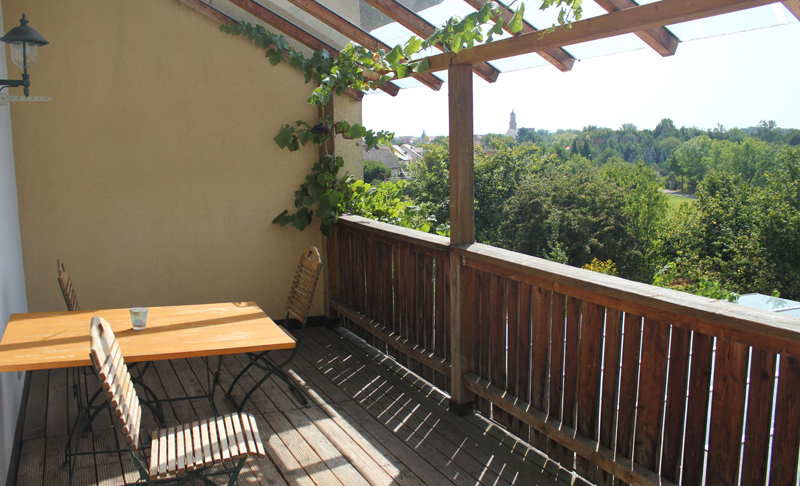 This flat is, due to big dormers, spacious and bright and offers a wonderful view on the vineyards and the pilgrimage chapel “Maria im Weingarten”. 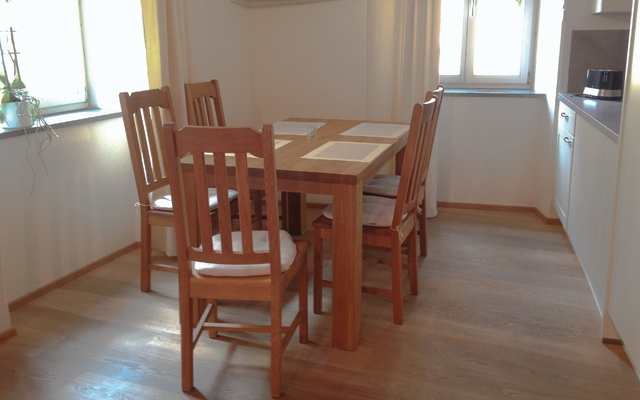 Up to 5 persons can overnight in this apartment. Feel History in the Birthplace of our Winery! 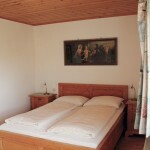 You can enjoy your holiday in our newly refurbished ancestral home in the historic town centre in Volkach. The former vinery building is located in a quiet side street. 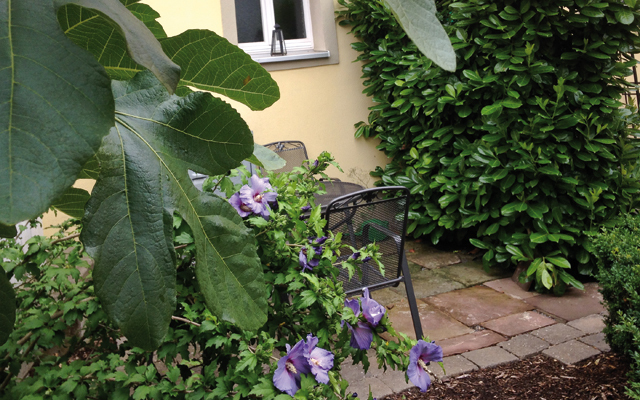 In the inner courtyard offers accommodations for your bycicles or a pleasant evening with a bottle of wine. 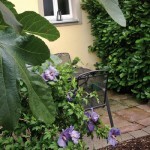 Lots of shopping facilities and restaurants can be reached on foot in a few minutes. 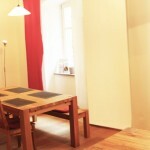 This flat has a floor space 50 m² and is located on the main floor. 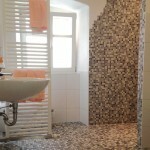 It offers a high-quality furnishing and a spacious bathroom with bathtub and accessible shower. The old stucco ceilings and doors are still preserved and impart a historical feeling on the residents. 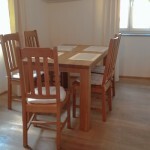 This apartment provides room for 2-4 persons and is available from 7 overnight stays. 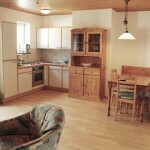 This apartment is also located on the main floor. 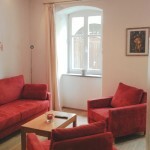 On 40 m² it offers a spacious living room, a bathroom with shower and a bed room with a courtyard-facing window. 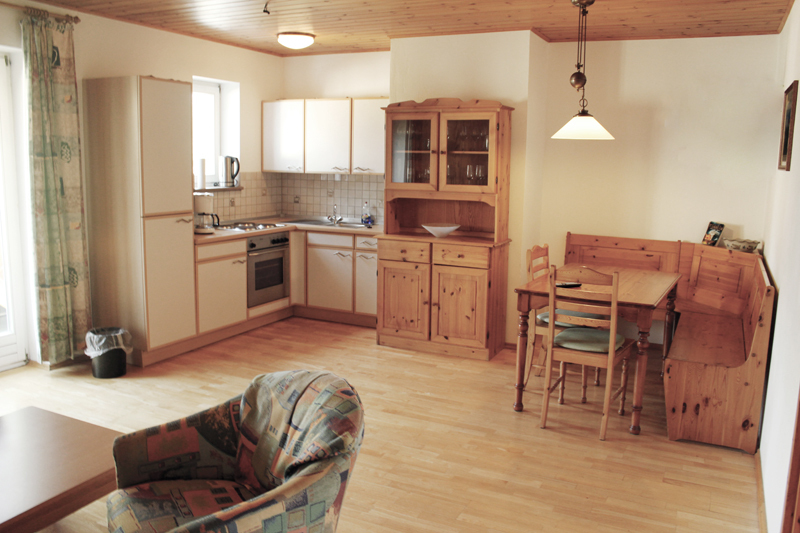 This apartment provides room for 2-4 persons.